Erin Rae's Tender 'Putting On Airs' Is For The Space Between Putting on Airs asks questions about intimacy, solitude and courage. The answers are sometimes sad, but beautiful. Erin Rae's Putting On Airs comes out June 8. What is the thought you think before you say the thing you think you should say? What about the one that you keep close to your own heart, but don't share? Repeated listening to Erin Rae's latest album brings riddles like that one to mind. Erin Rae is a singer-songwriter adept in making personal inquiries feel universal; in Nashville, where she lives, listeners flock to her shows to absorb her lucent energy and the insights she offers without fuss. To really appreciate the gift of her music, however, you have to spend time with it: to bring your own calm to the experience, taking time to notice the way she tells stories about the moments before an intimate confession, or the hours spent in solitude afterward, or the times when you're just hanging out wondering if the courage to share what's important will ever come. "What happens in the art of intimacy, of what happens in the space between us?" the writer Stacey D'Erasmo once asked. The songs on Putting On Airs ask the same question. The answers are sometimes sad, but beautiful. 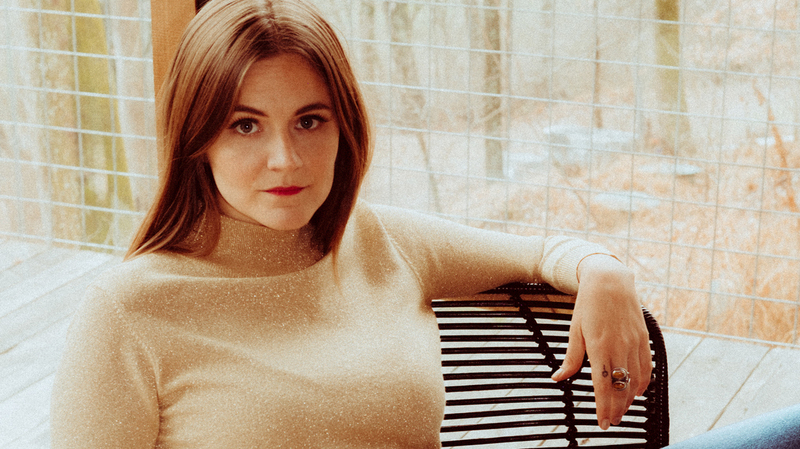 Erin Rae, born Erin Rae McKaskle, has been perfecting her careful approach to confessional songwriting for years within a circle of like-minded women and men, young Nashvillians working to apply the lessons of their parents' musical generation to their own 21st century lives. Her previous album, recorded with her band the Meanwhiles, showcased her shimmering voice within masterfully made Americana-style frames, replete with pedal steel guitar and swooning background vocals. For Putting On Airs, Erin Rae took a simpler approach, which ultimately led to a more inventive sound. She recorded the album at Cory Chisel's Refuge Foundation for the Arts in Appleton, Wis., where she decamped with producers Jerry Bernhardt and Dan Knobler, two guitarists who've worked with innovative classicists like Lake Street Dive, Ron Gallo and Andrew Combs. Dom Billett also provided inspiration on the drums. Woodshedding, the quartet hit upon a sound redolent of Laurel Canyon psychedelia, adding Mellotron keyboards and vibraphone to Erin Rae's usual strum. The arrangements serve her storytelling perfectly, creating a kind of cinematic glow around her spare, but hardly simple stories. Her subjects range from witnessing a loved one's descent into mental illness to weathering the difficulties of telling a tenacious lover to let go; on one, "Bad Mind," Erin Rae recounts her own long coming-out story, complicated by the youthful experience of seeing her aunt's Alabama family wrenched apart by homophobia. Rendered by another, these vignettes might have been melodramatic. In Erin Rae's hands they open up like moonflowers responding to evening light. One highlight, "Grand Scheme," is like a Roy Orbison classic wrought in indigo instead of infrared. On the chorus, as Bernhardt's organ softly weeps behind her, Erin Rae perfectly expresses the kind of tender insight that makes this album so memorable. "The sun was setting on West Nashville, too pretty to look at it straight," she sings. "How small we are in the grand scheme; how great."